a Wedding Celebrant, I'll be honored to be part of that special day in you life. you will cherish and remember for a life time. The following are the most common elements of a "Traditional Custom Wedding Ceremony." your hearts, and the hearts of those in attendance. references to God and/or Jesus, bible readings such as 1 Corinthians 13 & Ecclesiastes 4:9-12, etc., and a blessing. denomination such as Baptist, Methodist, Presbyterian, Pentecostal, Catholic or Protestant. readings or references to God. Instead, it includes wedding wishes, and readings about love and commitment. 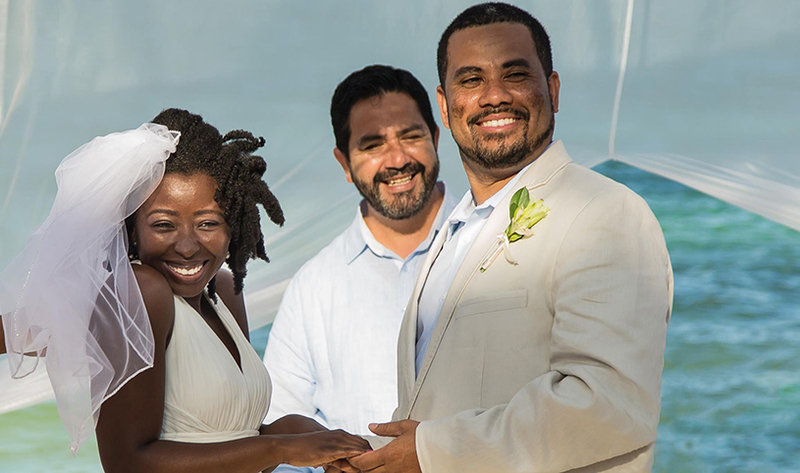 perform civil/legal ceremonies, only a judge (justice of the peace) at the civil registry can legally marry people. If you have a specific question regarding the type of ceremonies I perform, please feel free to contact me. THE WEDDING CEREMONY, the heart of you wedding! !